An Iowa court sentences the Maine man and his son to 3 months, capping a long history of hazards and abuses on farms. Maine’s most infamous businessman, Austin “Jack” DeCoster, and his son were sentenced Monday to three months in jail for their role in a 2010 salmonella outbreak that sickened thousands of people nationwide. DeCoster, 81, of Turner and his son Peter DeCoster, 51, of Clarion, Iowa, pleaded guilty last year to selling contaminated eggs from their Iowa egg farms. Under the sentence handed down Monday in federal court in Sioux City, the DeCosters were also fined $100,000 each. Their company, Quality Egg, had pleaded guilty to bribing a federal inspector and other charges, and was fined $6.79 million. The DeCosters previously owned egg farms in the Maine towns of Turner, Leeds and Winthrop, but sold them in late 2011. They now lease their Iowa facilities to another company. The federal Centers for Disease Control and Prevention said the 2010 salmonella outbreak included 1,939 officially confirmed cases, and that more than 56,000 people may have been sickened. 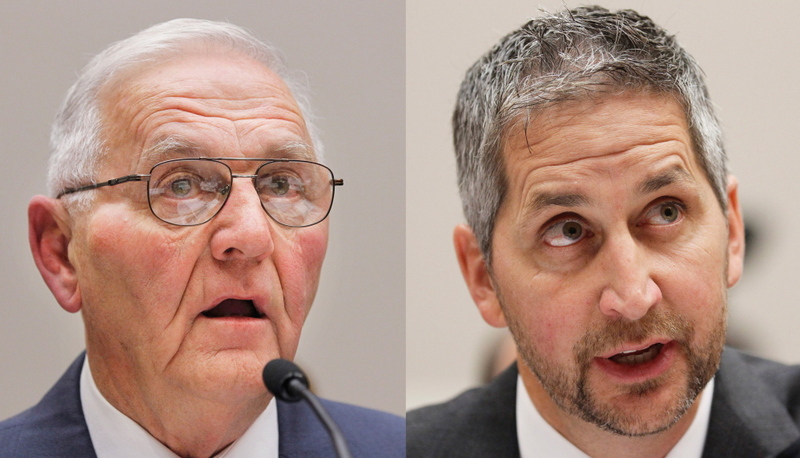 Federal prosecutors alleged that the DeCosters and their company knew their eggs were testing positive for the disease but did not attempt to divert eggs from the market. In their plea agreement, the DeCosters did not admit to having knowledge of the contamination. Their attorney, Frank Volpe, said Monday by email that neither he nor his clients wished to comment. Over the past half-century, Jack DeCoster’s companies have paid millions in fines and damages for everything from faking trucking logs and knowingly hiring illegal immigrants to environmental contamination, animal cruelty, workplace safety problems, and the exploitation of workers, including the alleged rapes of female employees by supervisors and the terrorizing of workers housed in squalid, crowded, cockroach-infested company trailers at his Maine farms. For decades, DeCoster thrived even as he was repeatedly caught breaking the rules. He started his empire in 1949 at age 14 with 100 laying chickens inherited after the death of his father. By the time he graduated from what is now Leavitt Area High School, he had 2,500 chickens, and in 1977 he had more than 2.8 million, making him one of the country’s largest egg producers, with a fleet of long-distance trucks to transport his product. But by then he was already in trouble with the law. In 1976, he pleaded guilty to 75 counts of having forced his drivers to falsify their logs, concealing that they were working long hours. He paid a $14,000 fine. Meanwhile, Tierney, then House majority leader in Augusta, had been receiving complaints about working conditions on the farm from his Lisbon-area constituents, prompting him to introduce a bill obliging farms with over “300,000 laying birds” to pay minimum wage. (Normally farms were exempt.) The bill received unanimous approval in the Legislature and the support of Gov. Jim Longley, an independent from Androscoggin County, where DeCoster’s farms were based. Still, in 1977 the Maine Times reported that DeCoster was habitually deducting penalties and expenses from the paychecks of Vietnamese workers without prior consent or means of appeal. The workers were being charged inflated prices, the Times said, to live in company-owned trailers from which they would be immediately evicted if they resigned or were fired. DeCoster employed children as young as 9 on his farm, according to federal investigators. In 1979, a series of accidents involving teenagers at the farms prompted Maine lawmakers to pass a law banning children under age 16 from working near hazardous machinery and substances. Three months after that law passed, authorities in Kent County, Maryland, approved an $8.5 million bond to help DeCoster build a large egg farm there. A local paper later reported that he built the chicken houses over manure pits that were never cleaned, resulting in terrible odors, fly infestations and the pollution of nearby creeks. Piles of dead birds, some overwhelmed by the ammonia in the air, were reportedly left to rot, prompting more complaints. In 1988, New York state banned the sale of DeCoster’s eggs after a deadly salmonella outbreak. The state health commissioner said 11 people had died and more than 500 had been sickened after eating DeCoster eggs. The ban was lifted after the company agreed to vigorous testing. In 1991, such tests revealed a salmonella outbreak at one of DeCoster’s Maryland farms, prompting a statewide ban on his eggs. The following year he was found guilty of violating the ban, but given only a token fine. By then he was already shifting his operations to Iowa, which didn’t require salmonella testing. DeCoster received renewed scrutiny in Maine after a 1996 expose in the Rumford Falls Times revealed widespread abuse of migrant Mexican and Mexican-American workers. 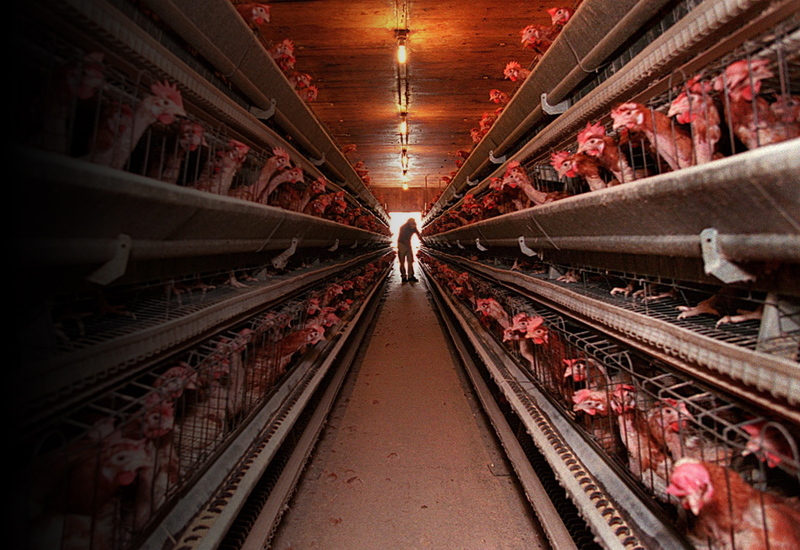 U.S. Labor Secretary Robert Reich denounced DeCoster, saying conditions at the Turner farm were “as dangerous and oppressive as any sweatshop we’ve seen.” New England’s major supermarket chains boycotted his eggs. Another member of the team, Alan Caron, recalled a surreal scene. “DeCoster’s pastor had told him 20 years earlier not to watch television or read the newspapers, so he literally hadn’t,” said Caron, who writes a column for the Portland Press Herald. “He lived in a bubble. Big damages followed. In 1997, the company paid $2 million in connection with U.S. Labor Department charges of gross workplace safety violations. In 1998, it reached a $3.2 million settlement with the Mexican government for allegedly mistreating Mexican nationals based on race. In 2002, it paid $1.53 million to settle allegations that supervisors at its Iowa facilities had raped female employees and threatened to fire or kill them if they resisted. Between 2002 and 2008, DeCoster’s Maine farms were fined more than $600,000 by the federal Occupational Safety and Health Administration for repeated and serious violations, including exposed asbestos, unsanitary showers, hazardous equipment and disregard for workers’ safety. In 2009, DeCoster agreed to pay more than $125,000 in penalties and fees after undercover animal cruelty activists at the Turner farms videotaped live hens being tossed into trash cans to slowly suffocate under dead birds. DeCoster sold his Maine operations to a subsidiary of Land O’Lakes in November 2011, but his legal problems weren’t over. In October 2013, he settled a discrimination suit by Homero Ramirez, his longtime plant manager, for an undisclosed sum. Ramirez had alleged that he had worked for 22 years in “an environment and culture that treats Mexican-American workers as ‘stupid’ and virtual slaves whose only value is their willingness to perform dangerous or demeaning tasks for DeCoster,” according to his civil complaint. Maine attorney Benjamin Gideon, who represented Ramirez, was surprised Monday to learn that the DeCosters were sentenced to jail time. “Trouble has been following Jack around for many years, and there have been lots of settlements and lots of fines” but no jail time, Gideon said. “You rarely hear about white-collar criminals doing time for anything. Levin, the former reporter who has followed DeCoster’s problems for four decades, thinks he was treated with kid gloves for far too long.